Congratulations to Miss Janjao of Year 7 at St. Stephens's International School, Bangkok. 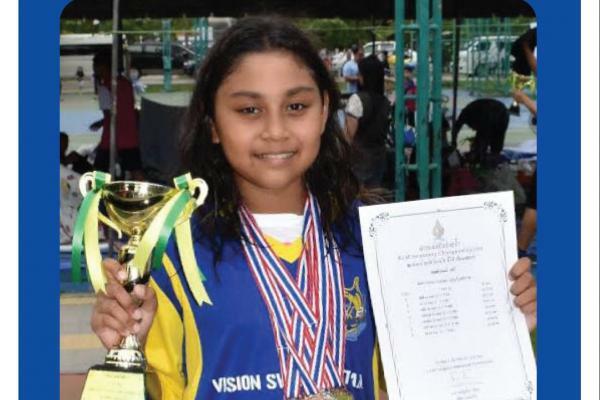 She participated in the KLM Swimming Championship 2018 and the Born to be the Star Swimming Championship 2018 in August. She won a trophy for excellent performance.